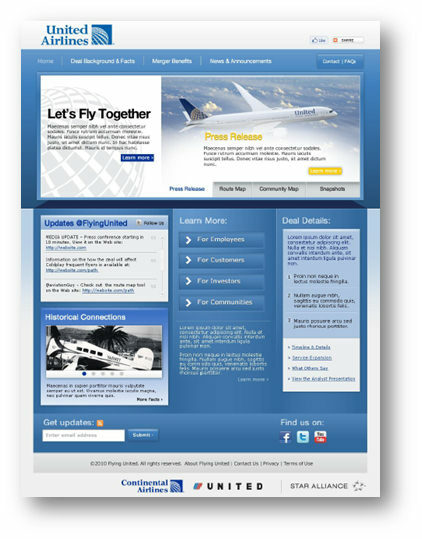 The APCO team worked alongside United’s merger team and executed a strategic campaign from announcement through the day of the completion of the merger. APCO’s team included a broad spectrum of communications and government relations professionals, who helped United with key stakeholders -- and in that regard, APCO was a key partner in our efforts to create a leading global airline." 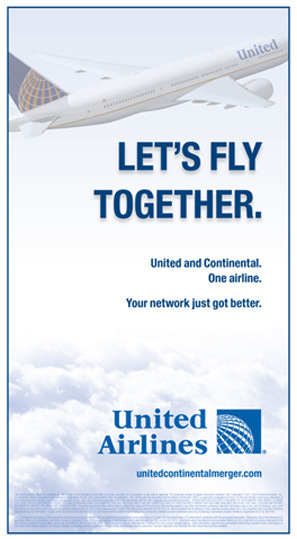 Challenge: United Airlines and Continental Airlines planned to merge to create the world’s leading airline. The companies needed a strategy followed by tactical execution to announce the merger and gain support from internal and external audiences. 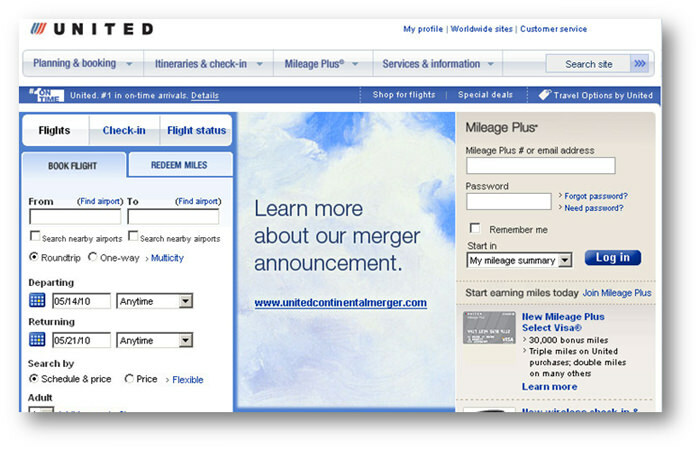 Approach: APCO executed critical elements of a comprehensive merger strategy for United that focused on educating key audiences about the benefits of the merger from its announcement through completion. 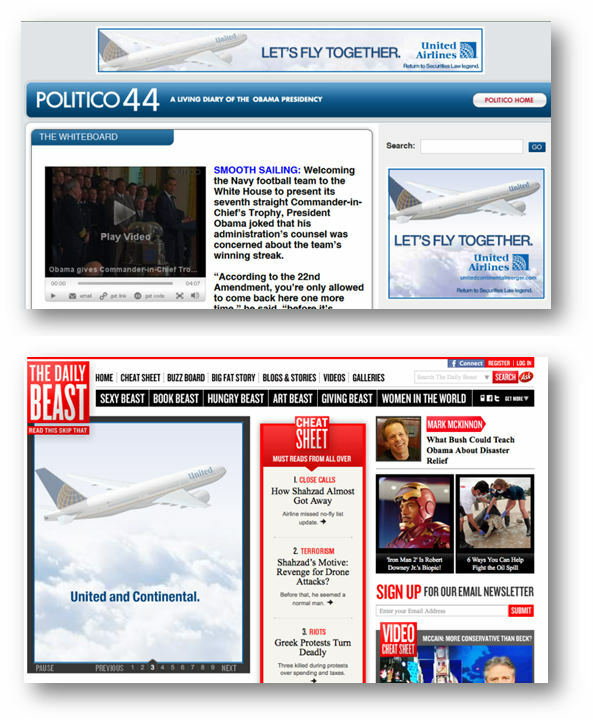 Tactics included digital advertising announcing the merger; preparing key executives for congressional hearings; online communications and social media; and ally development and coalition building. 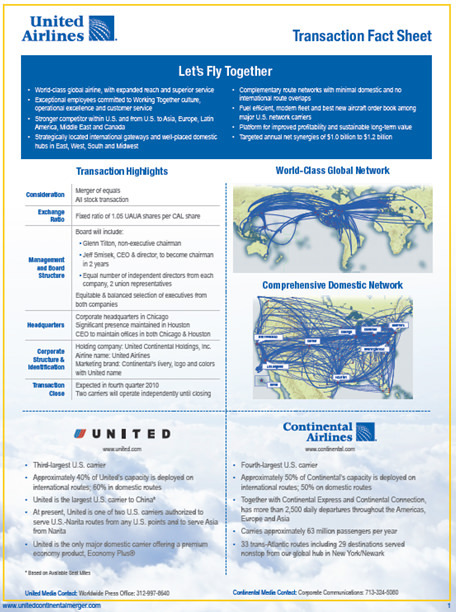 Results: APCO helped United effectively communicate with all of its key audiences about the benefits and impact of the merger and successfully generated broad-based support for the successful transaction.